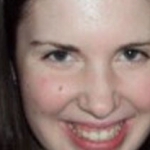 Molly Horan is a writer living in New York City. Her work has appeared on Flavorwire, Mashable, Nerve, Crushable, and many other sites. She's currently working on a young adult novel which features a bloody production of The Sound of Music and a stray dog named Destiny. She tweets about books and her undying love for 90s pop music here. What Pop Culture Taught Me About "Bad Boys"